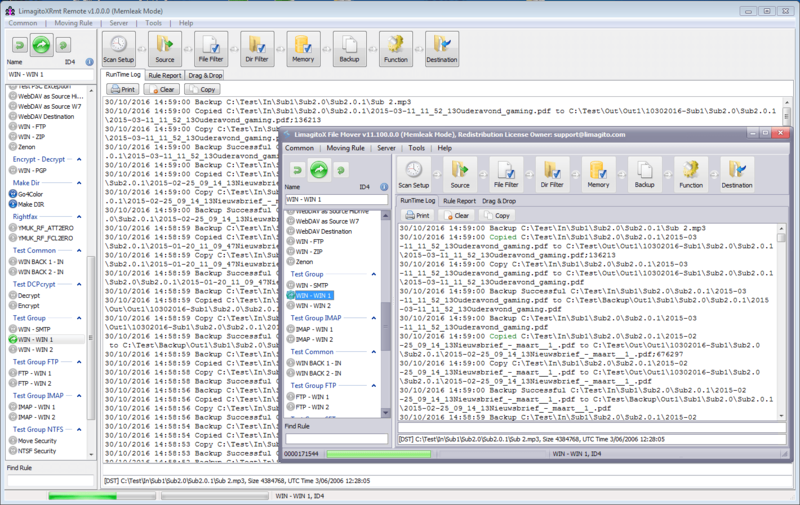 We’ve finally decided to create a ‘full’ remote client for our FileMover. This means that we’ll spend a lot of time the coming months solely to add this feature. Believe me, we’ve tried lots of options available on the ‘code’ market. Lost a lot of coding hours too. The first remote client will be a native windows client (32 and 64 bit). It will use IPC (Inter Process Communication using Named Pipes) to connect to the FileMover Application or Service. We’ll start with a very basic version and will keep adding options that are already available in the FileMove Application GUI. The second version will use IMC (Inter Machine Communication using TCP/IP) so you’ll be able to use this remote client over your network. We’re adding a new feature called ‘File Type Filter’ (WIN as Source). It was an idea of one of our users. 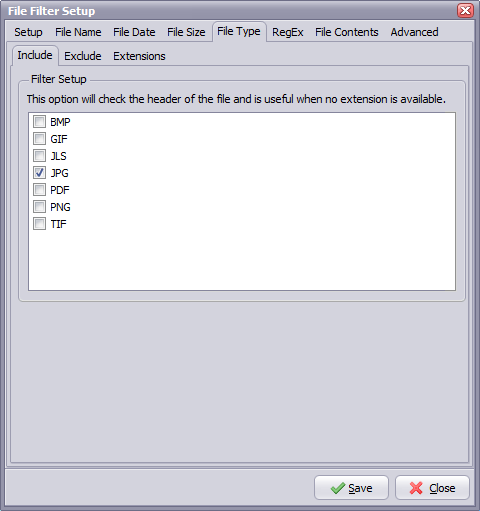 This option will check the header of the file and is useful when no file extension is available. Like always, feedback = much appreciated. Please let us know if you would like us to add other extension types. 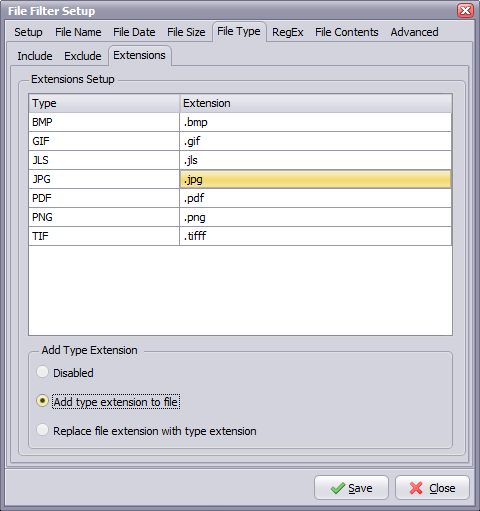 We’ve add an option called ‘Add Type Extension’ so that the correct file extension can be added. You can edit our default extension. 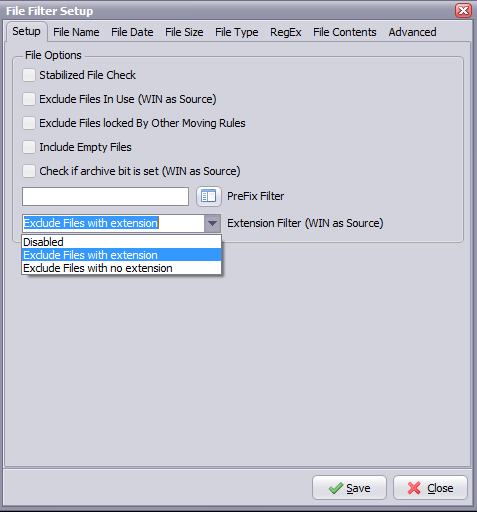 We’ve also added a file filter option which decides to exclude files with or without an extension.